– Labour’s 2001 McLeod Tax Review. Last week, the Government’s Tax Working Group released its interim report signalling that a Capital Gains Tax of up to 33 percent – more than double the 15 percent rate originally proposed by Labour – will be introduced before the next election. While Labour’s tax will exclude the family home and the land under it, once a Capital Gains Tax is in place all it would take is a simple stroke of the pen for any future government to extend it to include the family home. In effect, Sir Michael Cullen’s report is a beautifully orchestrated political document that will provide a major campaign platform for Labour to fight the 2020 election. It looks likely to hit every note – increasing the tax burden on the rich while reducing it on the poor, embedding environmentalism into the tax system, and promoting Maori privilege. We should perhaps have expected nothing less, given the political origins of the review, which arose out of a campaign blunder by Labour’s new leader Jacinda Ardern during the last year’s General Election. Going into the 2017 election, former leader Andrew Little had decided to downplay Labour’s controversial Capital Gains Tax policy, which many in the Party believed had contributed to their losses in 2011 and 2014. He called for it to be reviewed by a Tax Working Group with recommendations to be presented at the 2020 election. Jacinda Ardern, however, made a “Captain’s Call” to introduce a Capital Gains Tax during Labour’s first term. But her policy was vague and when the media asked difficult questions, she announced that the details of the tax would be decided by a Tax Working Group and introduced before the next election. 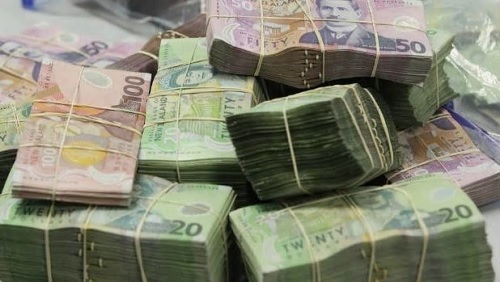 But proposing to introduce such a controversial tax before the next election, without a public mandate, came under such scrutiny that her position changed again – to what we have now: The Tax Working Group will recommend a Capital Gains Tax to be passed into law before the 2020 election, but it will not come into effect until 2021 – after it receives a public mandate at the 2020 General Election. It will be reminiscent of the situation we had at the last election, where National had passed a law to give most Kiwi workers an extra $20 a week in tax cuts – by lifting the bottom 10.5 percent tax threshold from $14,000 to $22,000, and the 17.5 percent rate from $48,000 to $52,000 – but with an implementation date after the election. Those tax cuts were cancelled once Labour became the Government. What all this means is that the Capital Gains Tax policy that is now being fine-tuned by the Tax Working Group will become the centrepiece of Labour’s next election campaign. And to remove any doubt about the political intent of this exercise, Finance Minister Grant Robertson recently said that he wants the final recommendations from the Tax Working Group to be revenue neutral, with any revenue gained from new taxes offset by tax cuts. This week’s NZCPR Guest Commentator, investment analyst Frank Newman, has examined the Group’s 196 page report and notes that while it makes no firm recommendations, it does however signal a Capital Gains Tax by setting out two options. Shares in companies and other equity interests. “Exemptions will apply to the family home and ‘certain personal assets including cars, boats and other household durables… and higher value personal assets such as jewellery, fine art and other collectibles (rare coins, vintage cars etc.)’. Frank says the Tax Working Group justifies a capital gains tax by saying it will improve the fairness and integrity of the tax system, by levelling the playing field between different types of investments. In all likelihood those revenue forecasts are grossly under-estimated – and intentionally so – in order to avoid scaring voters. It is inconceivable that such a fundamental and disruptive change to the tax system would be contemplated if it did not materially increase revenue. One only has to look at the complexity of the dozens of working papers outlining how the scheme could operate to understand what an enormous upheaval it will create and how, as Frank says, it will provide “a significant revenue boost to the accounting industry”. Without a shadow of a doubt, once a Capital Gains Tax is introduced, less money will be invested in those productive businesses that will attract the tax when sold, and more money will be put into non-productive assets that are exempt, such as the family home, cars, boats, jewellery, and art. This is the exact opposite of what our economy needs. In his press statement, Sir Michael Cullen stresses he intends bringing “fairness” into the tax system. But what is fairness? Fairness is an opinion, not a matter of fact. Many people would say that the ‘fairest’ tax system of all is a flat tax, since the more you earn, the more you pay. But Labour would not agree! Sir Michael also intends introducing a racial bias into tax law through including “Te Ao Māori concepts and perspectives on the tax system”. He suggests further engagement with Maori is needed, “guided by the Government’s emerging engagement model for Crown/Māori Relations” and, when it comes to environmental taxes, “Māori rights and interests must be acknowledged and addressed”. In other words, there will be more special treatment for Maori, but, by delaying decisions until the final report is released, Sir Michael is cleverly avoiding public controversy. So what tax advantages do Maori have at present you might ask? Firstly, Maori businesses can register as Maori authorities and pay 17.5 percent tax, instead of the company rate of 28 percent. Secondly, tribal corporations, which include some of the wealthiest businesses in the country, can register as charities to avoid paying their “fair share” of tax altogether. This is due to changes introduced by Labour in their 2005 Charities Act, which allowed Maori tribal groups to gain charitable status. Until then, organisations wanting to register as charities not only needed a legitimate charitable purpose – involving the relief of poverty, the advancement of education or religion, or any other matter beneficial to the community – but they also had to meet a public benefit test, to ensure that charitable benefits flow into the wider community and not to private individuals and their relatives. Since Maori tribal organisations are based on the blood ties of relatives, they failed the public benefit test. However, through section 5 (2) of the Act, Labour introduced an exemption from the blood tie disqualification for those involved in ‘the administration and management of a marae’. As a result, most of the contributors to the $40 billion-plus combined wealth of the Maori economy – such as the $1.3 billion Ngai Tahu corporation, which operates over 30 commercial businesses – are registered as charities and are essentially tax free. Although the Tax Working Group has indicated it intends proposing reforms to better ensure that that the assets and income of charitable organisations are used for charitable purposes, they also note that charities taking an “intergenerational” approach should be protected, which makes it unlikely that the changes will require Maori corporations to pay their fair share of tax. In summary, the Tax Working Group will recommend a new Capital Gains Tax, but not wealth taxes, nor land taxes. When it comes to environmental and ecological taxes, their recommendations will include expanding the Waste Disposal Levy, strengthening the Emissions Trading Scheme, and introducing congestion charging. While tax changes for business to reduce tax avoidance are still being considered, any reduction in New Zealand’s company tax – which is now one of the highest in the world – has been ruled out. The Group is also still forming its views on the best ways of using the tax system to enhance productivity, and to reduce compliance costs. The best way to reduce compliance costs, of course, is to keep the tax system simple – a capital gains tax is anything but simple. With Labour promising to pass their Capital Gains Tax into law before the next election, there is little time to ensure that this complex change to our tax system is done properly. The Tax Working Group’s final report is not due until February, which means draft legislation would not be available for some months after that. Given a Capital Gains Tax Bill is likely to attract thousands of submissions that would highlight many of the serious “fishhooks” that would undoubtedly be found in the draft law, the Select Committee would likely want to hear all submitters. Adequate time would therefore need to be scheduled to ensure that a comprehensive public consultation process can take place – since a poorly drafted Capital Gains Tax, which for many New Zealanders would be set at the highest tax rate, would have an extremely detrimental impact. So there we have it. At this stage, Labour’s plan is to undo much of the good work that has been carried out over the years in making New Zealand’s tax system admired around the world for its simplicity and effectiveness. Instead Labour will create gross inequity by imposing a Capital Gains Tax of up to 33 percent to penalise anyone (except, probably, Maori) who has tried to get ahead by investing in businesses, or shares – or who owns a rental property, farm, or a family bach. Environmental taxes will also be introduced to further punish businesses and farmers. And, to make it all more attractive to their voters, they will offer tax cuts to help the less well off. Is this what you want? If not, send in a submission to submissions@taxworkinggroup.govt.nz by 1 November 2018. Do you think the Capital Gains Tax as outlined by the Tax Working Group will be good for New Zealand or bad? Yet more concessions to Maori, another New Zealand first, sorry first in New Zealand, Probably the only country in the world where Talking of treating everyone equally gets you branded as a racist. Geoff. The Labour Party shows it’s true colours as it forges ahead with the attempt to reduce us all, except the Maoris, to the level of peasants. So what do we see for the next two years. There will be a large reduction in homes to rent, I’ve already sold mine, non Maoris will have to pay to visit a beach or go fishing. Beaches will be guarded by sniper rifles, the stock market will be virtually destroyed and businesses along with it for starters. The new taxes on petrol will have reduced motoring to basic essential use only but the population of Auckland will be riding their new rail system paid for by the rest of NZ and diesel prices will have increased the grocery bill through the roof and so the story continues. Chris.